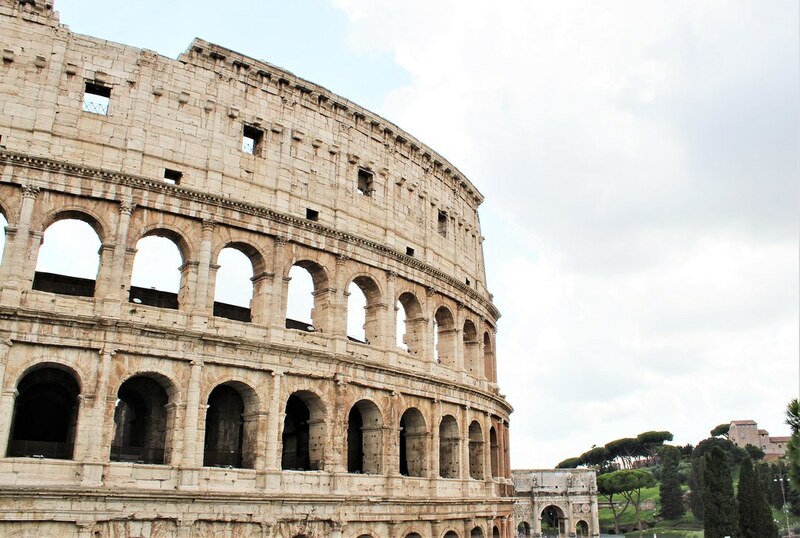 I’m going to keep us in Rome for a bit because, chances are, if you know anything about Rome, you know it is home to the Colosseum. 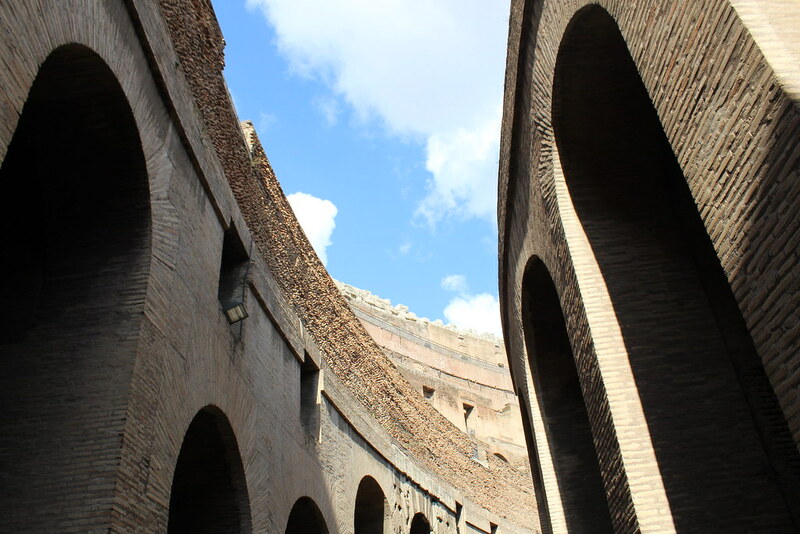 Originally, I told my brother I would be satisfied with simply seeing the outside of the Colosseum, a given if you spend any length of time in and around Rome. 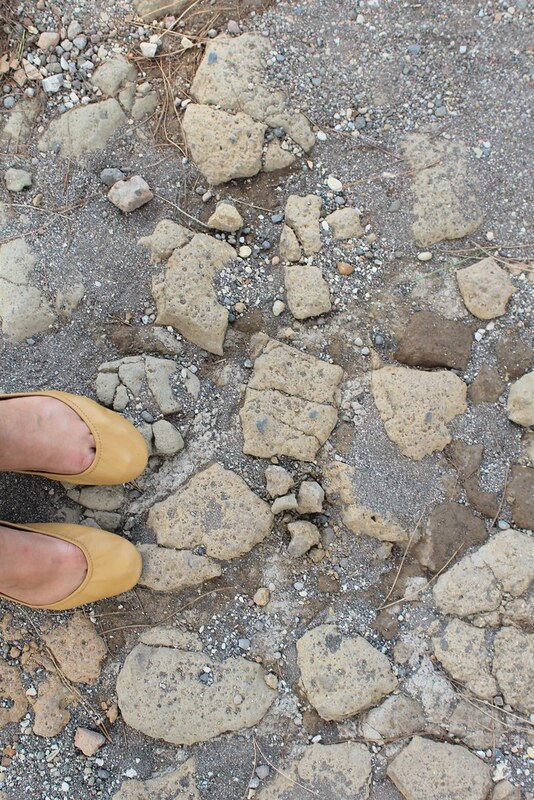 When Hubby eventually comes to Rome*, he will want to spend time in the Colosseum, so I figured there was no rush. 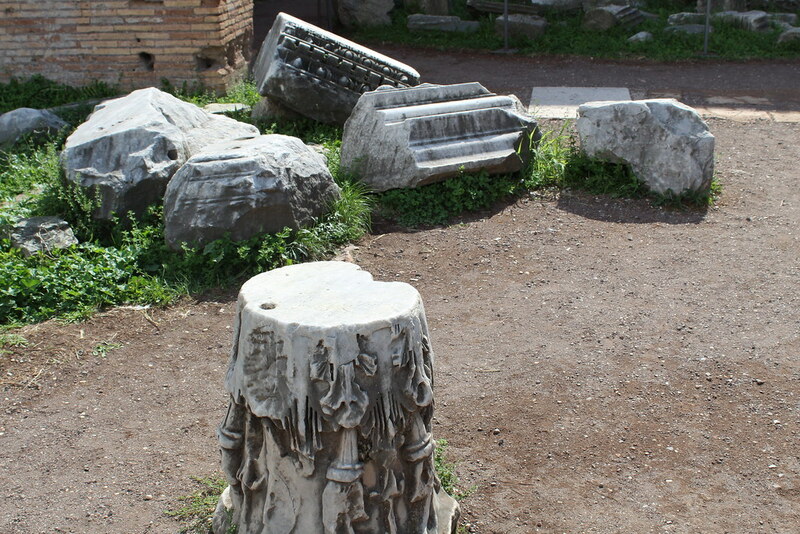 The first Sunday of the month several museums and monuments throughout Rome are free*. The last Sunday of the month the Vatican museums are free. *Apparently, up until this year, this was a government mandated thing across Italy. 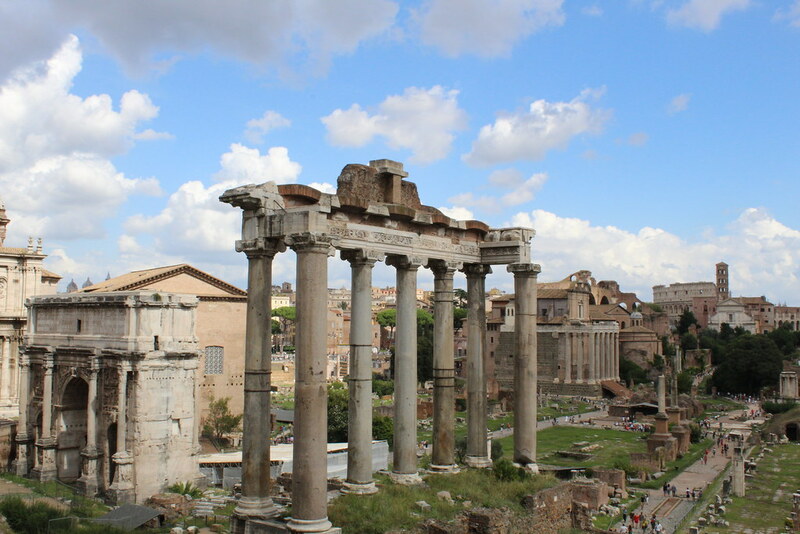 I read a few articles upon returning home which stated that it is no longer government mandated and is now up to each individual location, however, it seems as though Rome has remained with the free museum/monument Sunday standard. We missed out on the day for free Vatican museums, so we decided to save that for the next trip. But, after chatting with a friend of Joel’s after church about his trick for getting into the Colosseum quickly on free museum day, we decided to give it a try. 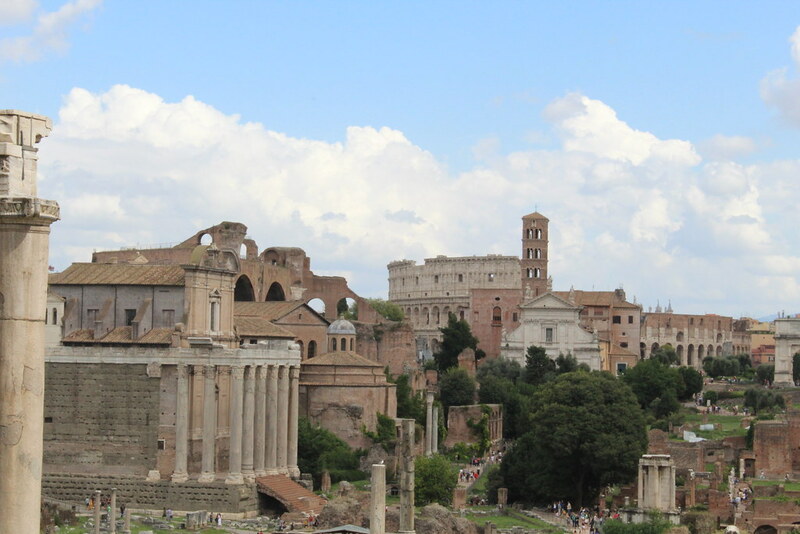 The way to go about it, he told us, was to visit the Roman Forum + Palatine first. The ticket used is the same one used for entrance to the Colosseum. 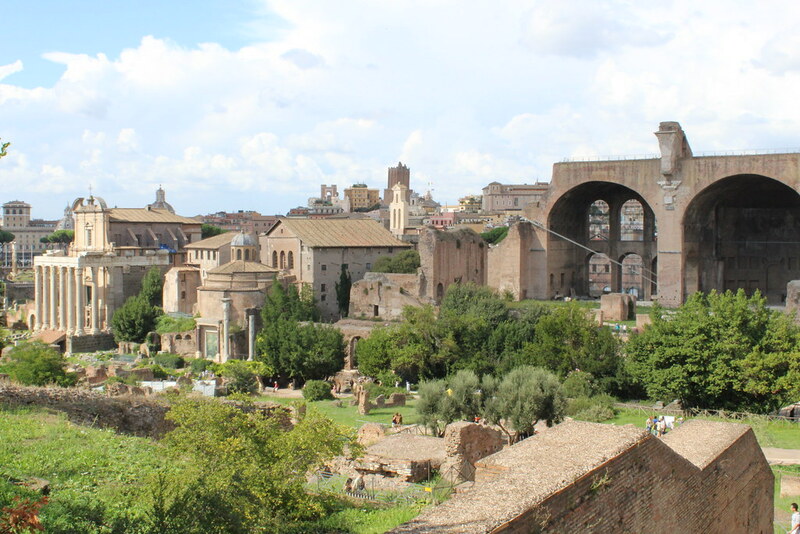 Meaning, once we finished at the Roman Forum + Palatine, we could go to the Colosseum, get in the line for ticket holders and, hopefully, get inside quicker than the line for ticketless people. 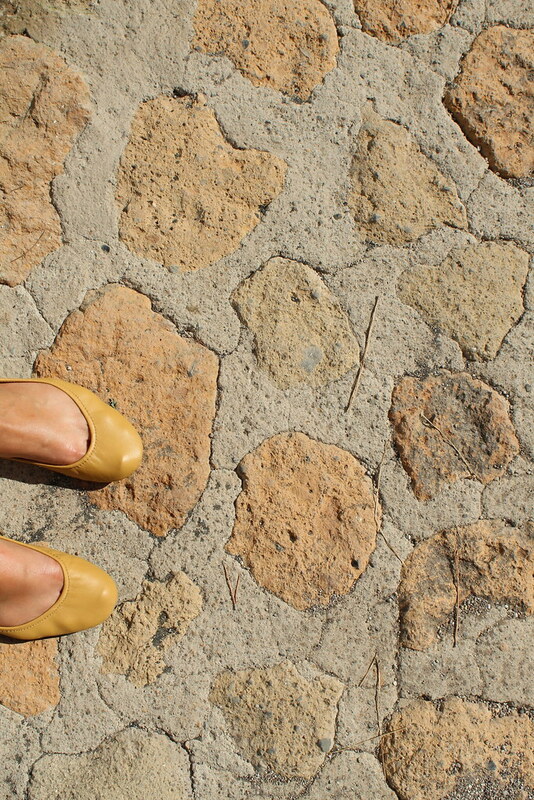 After church and lunch, we went to Palatine* where we stood in a very short line to get our tickets. 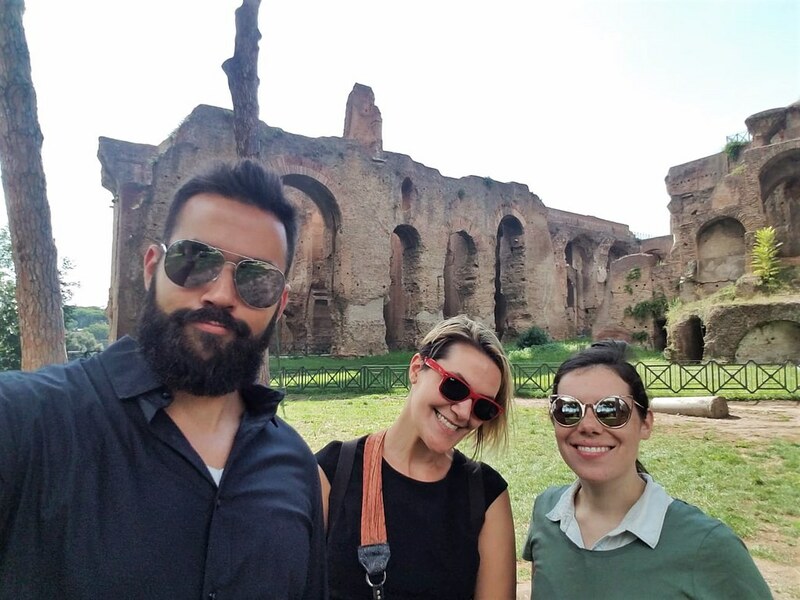 We toured the Roman Forum + Palatine, taking our time soaking in the reality of the place we were walking in and the time period which was represented in the masses of crumbled rock and uneven stony grounds. *There are five different access points to Palatine. 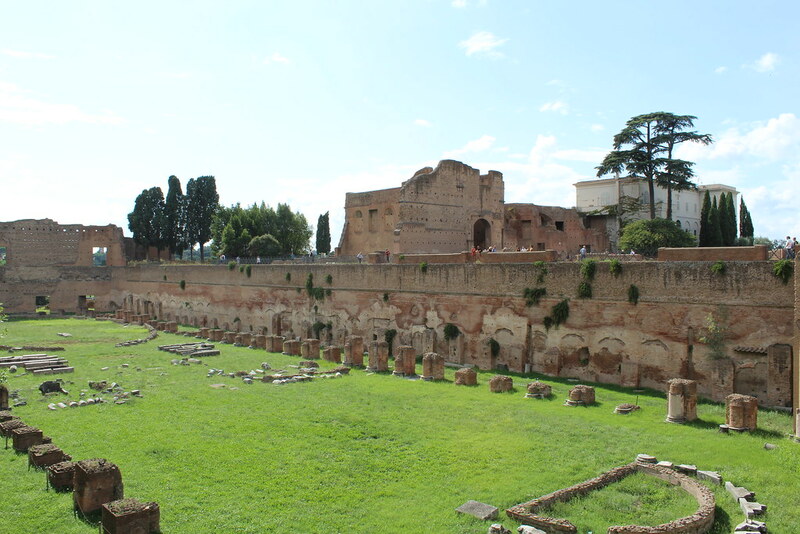 We entered via San Gregorio, the side of Palatine closest to Circo Massimo. The Colosseum is a short walk away and being that it was late afternoon, the lines were very long. 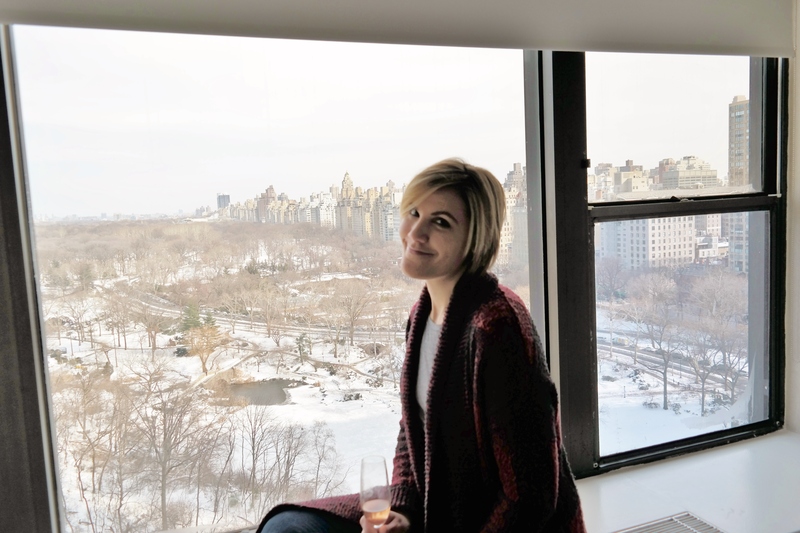 However, it was immediately obvious that the line for ticket holders was continually moving, while the line for the ticketless was at a standstill. Around half an hour later, we were inside. 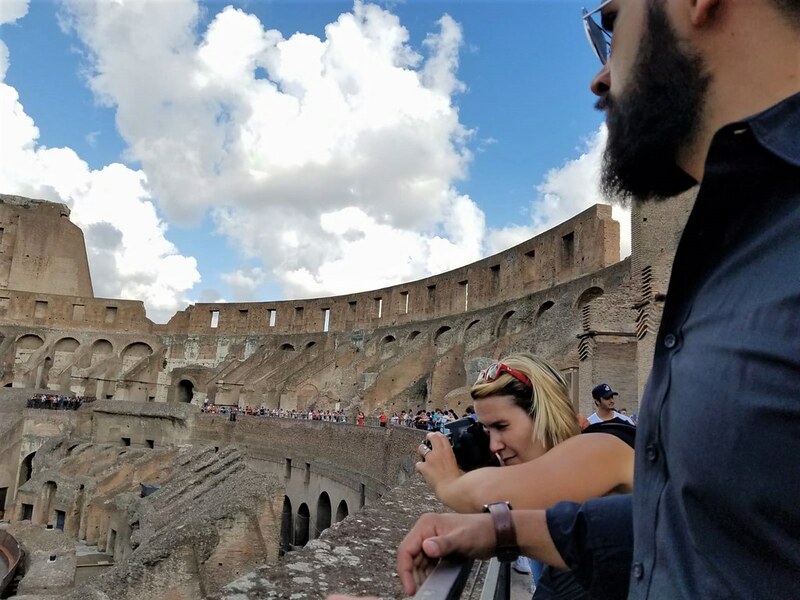 The Colosseum is a well-known monument of Rome, one with an endless list of stories of conquest and heartbreak, but I couldn’t get over just how many tourists flocked to the Colosseum and how few spent their time in areas less known, yet just as rich in history. 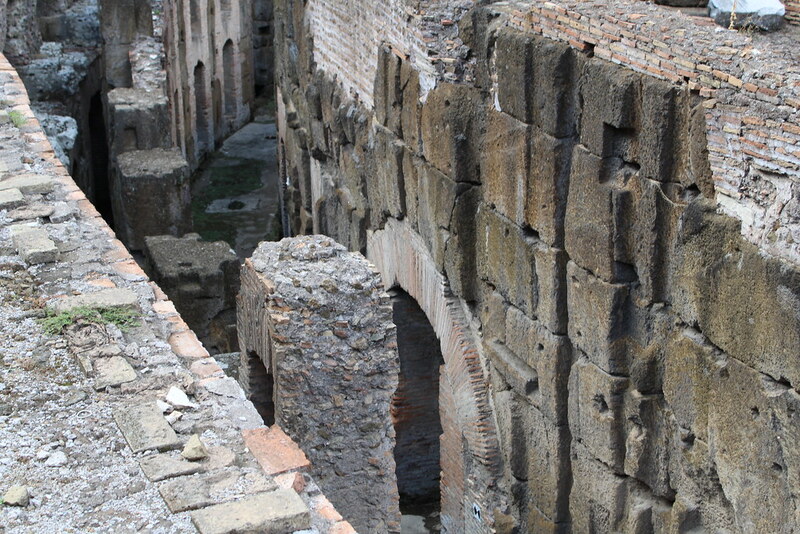 The inside of the Colosseum was a bit of a surprise to me. Having not researched the present-day status of the monument at all, it was fascinating to be able to see some of the underground portion of the arena. Mallory did a little Googling about the Colosseum as we toured it. 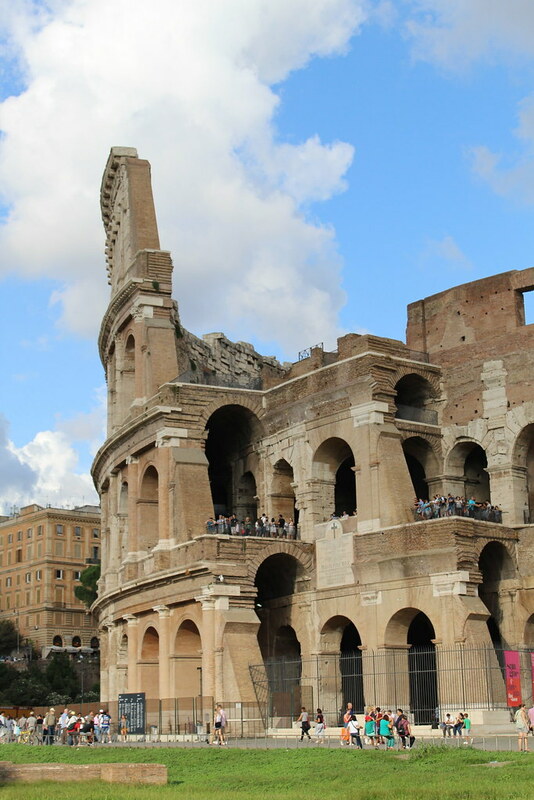 We learned that the Colosseum seated 50,000 spectators. At the inaugural games, 9,000 animals were killed and over time it is estimated that events within the Colosseum took the lives of over one million animals and 500,000 people. 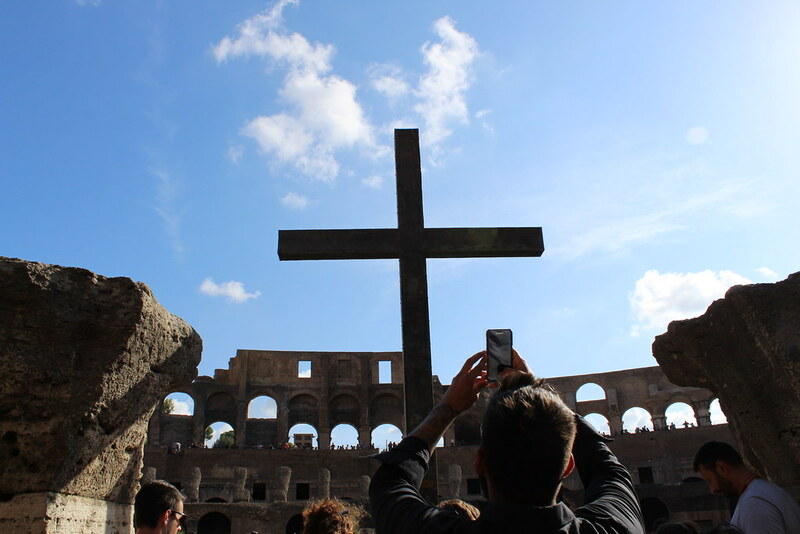 Upon entering, visitors cannot miss a giant cross which stands in the place the Roman Emperors once sat. 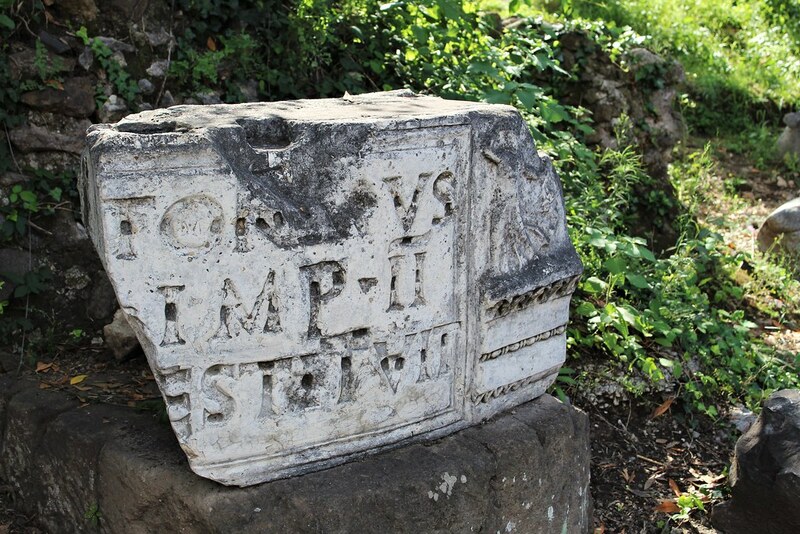 Placed in the year 2000, it is there in remembrance of the Christians who died in the arena. 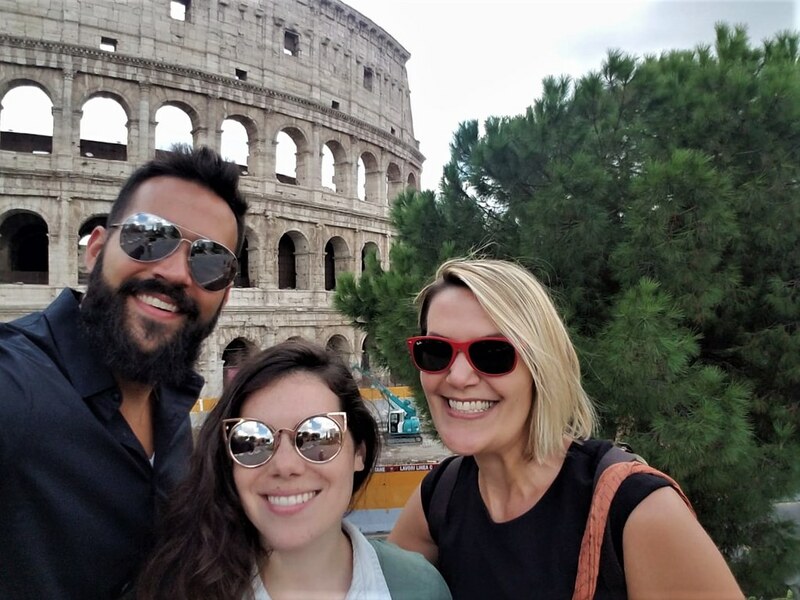 Though at this point in the day, we had already seen and walked quite a lot, Joel mentioned that Castel Sant’Angelo, which is across the Tiber River, standing in line with a perfect view of St. Peter’s Basilica, was also free. 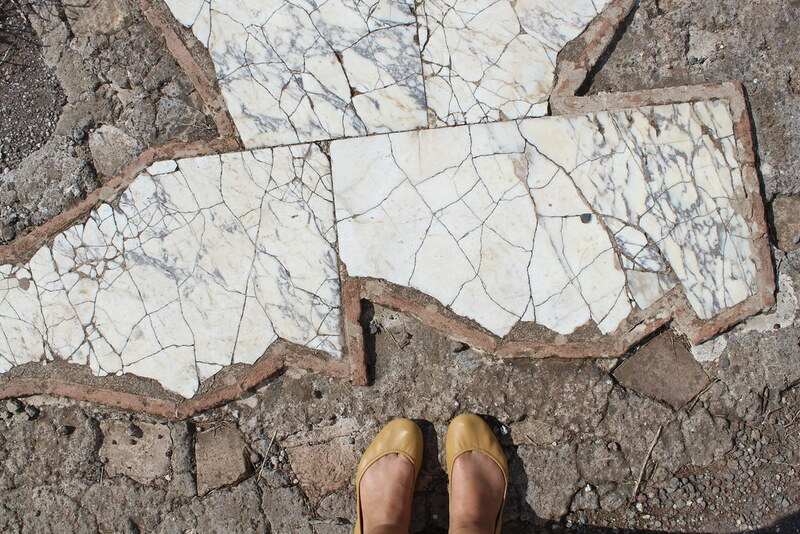 The story and events which took place when we visited Castel Sant’Angelo are best saved for another day*. But, I will tell this. 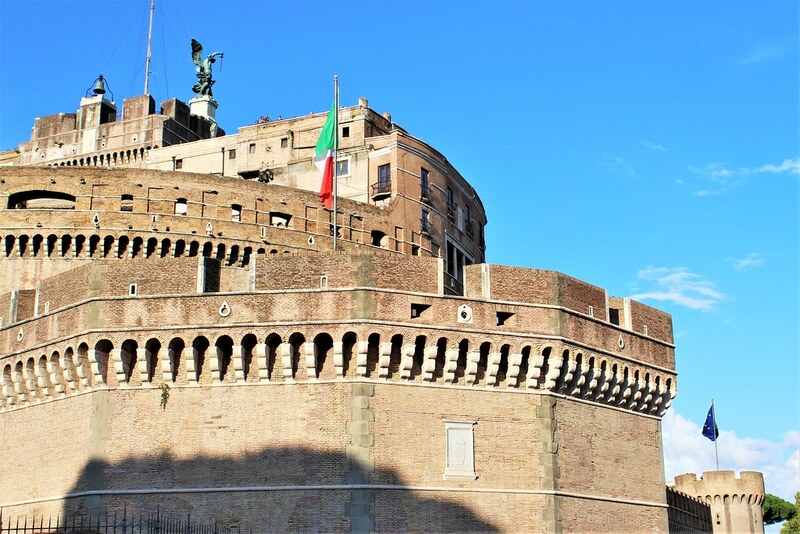 We stood in line for somewhere around an hour, got in for free, and got to experience another little bit of history, for free, which the ordinary Castel Sant’Angelo goer could have easily missed out on. *Spoiler alert, we had a blast. P.S. It was a super hot and humid day, as you might be able to tell by the fact that my normally light and fluffy hair is c-l-i-n-g-i-n-g to my face! Nevertheless, we had a wonderful time.